I know Mom loved this recipe: a) because I found it in her cookbook and b) because it has black pepper in it and I love pepper and know she did as well! ♥ Never trust anything that is ⅛ teaspoon in size. Either don’t waste your time adding it into your dish or pump up the jam and add more. In this case I’d add way more than ⅛ of pepper. Go for the gusto! 1. 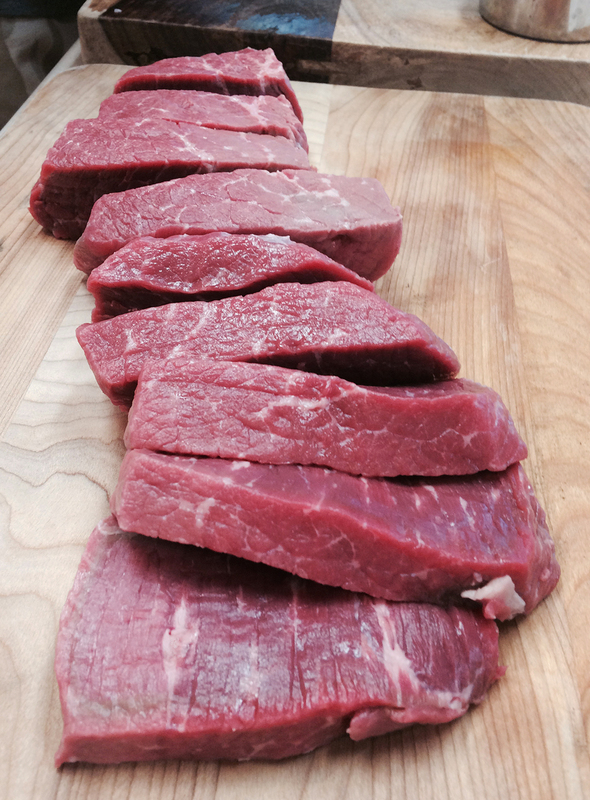 Cut steak into strips. 2. Combine flour, salt and pepper and coat the steak strips. 3. 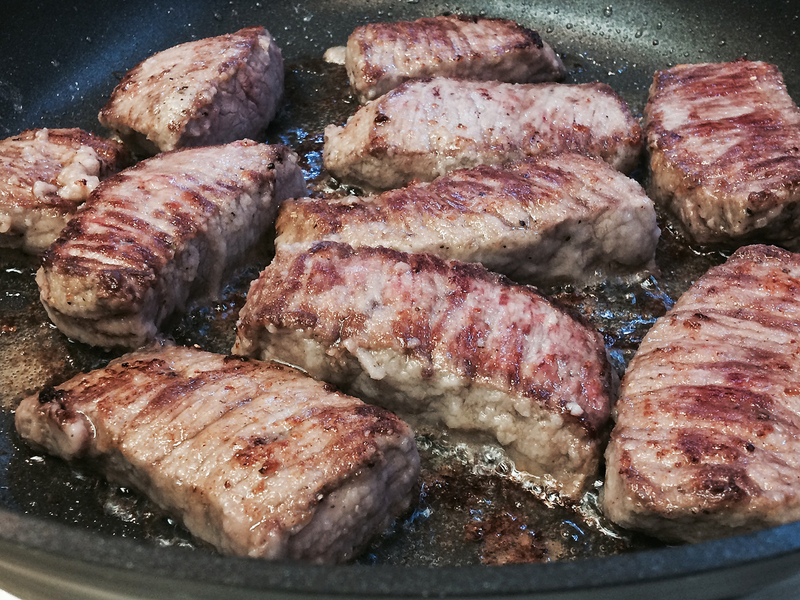 In a large skillet, cook the steak strips in hot oil until until browned on all sides. 4. Drain the tomatoes, reserving their liquid. 5. 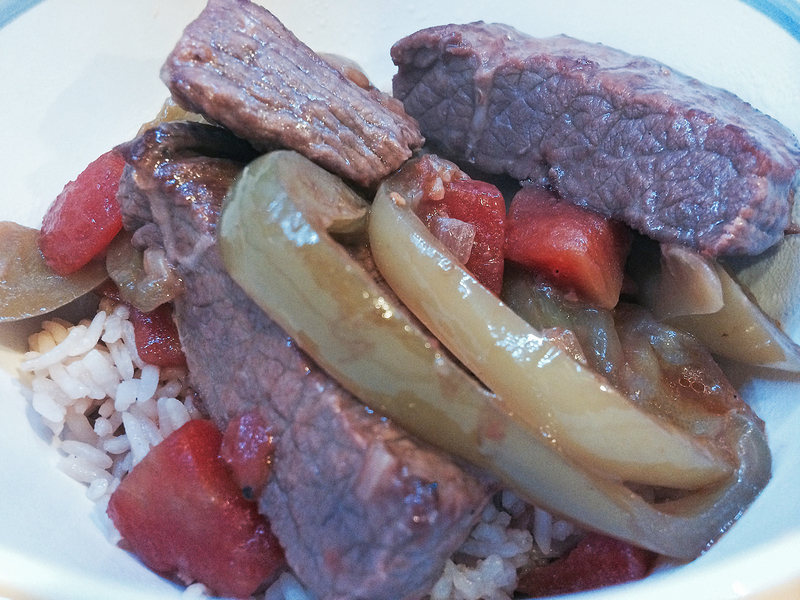 Add the tomato liquid, water, onion, garlic, and gravy base to the steak. Cover and simmer in the skillet for about 75 minutes until the meat is tender. 6. 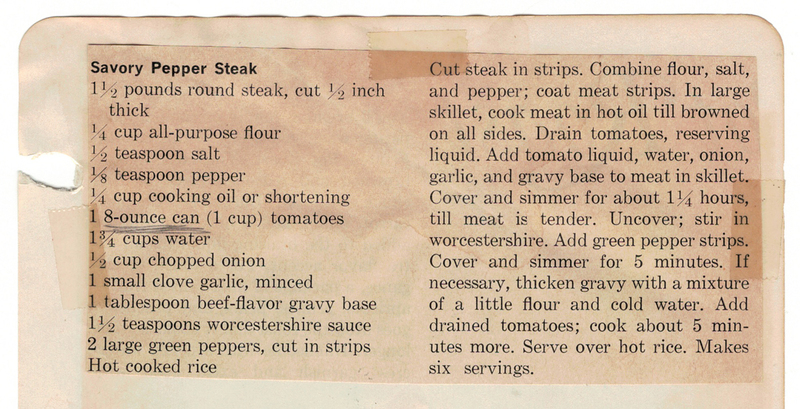 Uncover and stir-in the worcestershire and the green pepper strips. Cover and simmer for 5 minutes more. If desired, you can thicken the gravy by adding a mixture of flour and cold water. 7. Add the drained tomatoes then cook for about 5 minutes. 8. Take a few deep sniffs of your dish. It smells like AWESOME! This dish was brought to you by the letter “P”! PS ~ Now that we have peppered steak on the brain let’s watch a Peter Piper video from one of my favorite childhood TV shows – Sesame Street.